Welcome to Bunny.nu » Blog Archive » Carry me away from here! Carry me away from here! This entry was posted on Thursday, March 4th, 2010 at 10:54 am	and is filed under Bunnies. You can follow any responses to this entry through the RSS 2.0 feed. You can leave a response, or trackback from your own site. 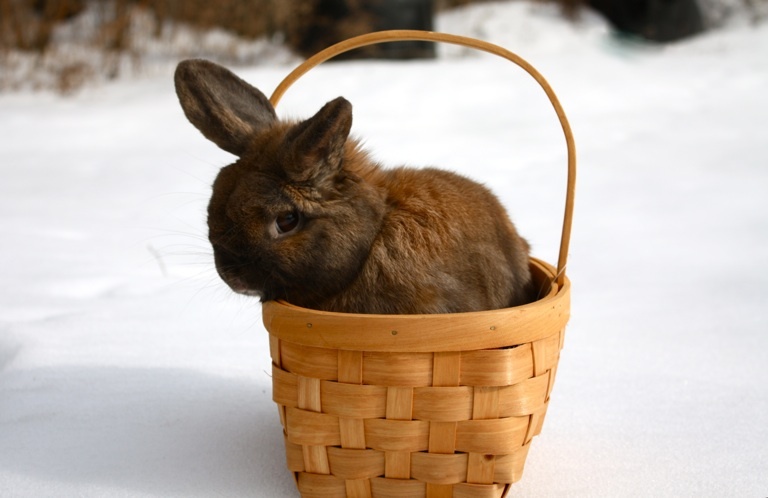 I wish I could hop into a basket and someone carried me away from the snow! I have just been out there fighting with it – a strong ice cold wind that blows the snow right back in my face when I try to shovel it away. Up, Up, and Away!!!!! Wait – hook a balloon on there!! !